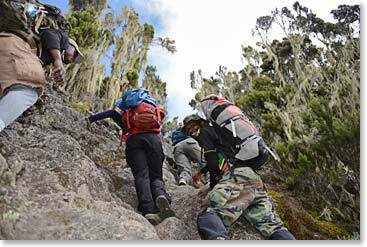 The Umbwe Trail through the forest zone of Kilimanjaro is legendary as being the most isolated, beautiful and challenging approach to the upper mountain. 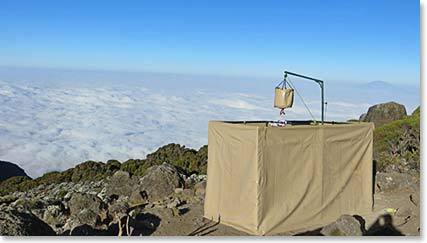 Acclimatization will be critical for our success in reaching our Crater Camp 18,700 feet, spending the night there and reaching the top of the mountain at Uhuru Peak, at 19,340 feet. 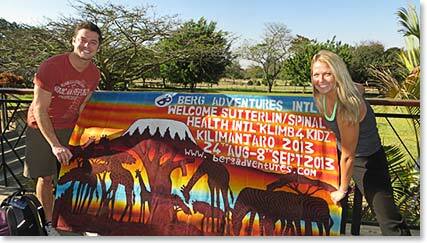 Berg Adventures has done the Umbwe Trail many times and we find that it is not as difficult as many people imagine. It is steeper than the other forest trails, but it is also easier to walk on the Umbwe than on other trails because it is much less travelled and crowded. And the beauty is unmatched. Day 1  Depart from home country. Day 2  Arrive at Kilimanjaro International Airport. You will be met by our staff and transferred to your hotel. BAI trip starts. 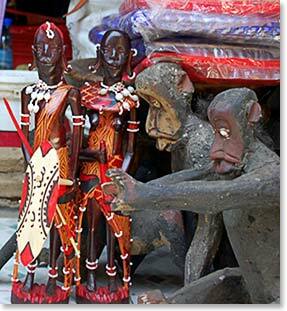 Day 3  Team orientation in the morning, packing and trip preparation; spend the afternoon visiting the markets of Arusha with your guides, or sleep off jet lag. A guide gives packing advice. 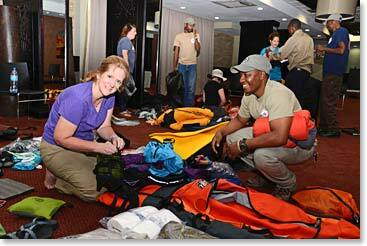 Day 4  1 ½ hour transfer by Land Cruiser to the Umbwe Gate entrance to Kilimanjaro National Park. 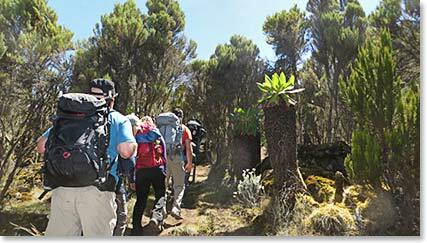 The emptiest and most beautiful forest trail on Kilimanjaro will lead us to our first camp, Umbwe Cave Camp. 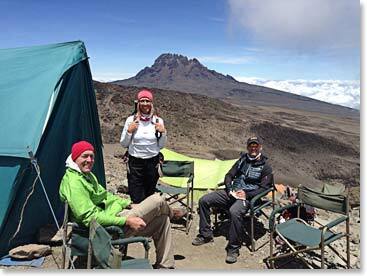 Day 5  Umbwe Cave Camp to Barranco Camp, elevation 13,080ft/3,985m. 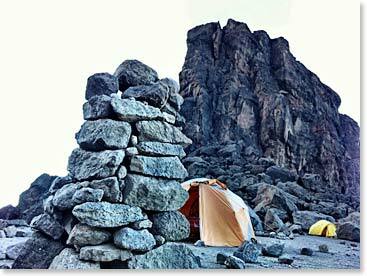 The camp is beneath the spectacular Breach Wall, some of the most thrilling views on the Kibo circuit are here. 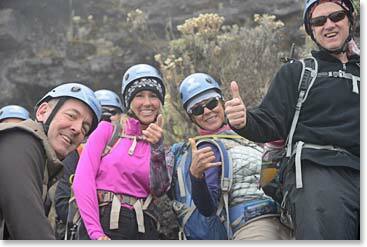 Day 6  Today we will hike to Lava Tower. 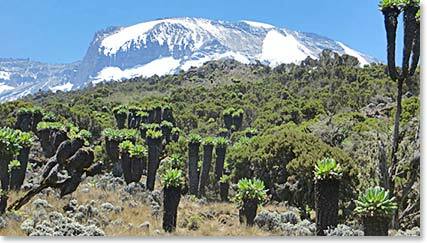 Day 7  We will hike from Lava Tower to Pofu Camp 13,200ft/4,025m. Day 8  Today is a gradual walk no hills. 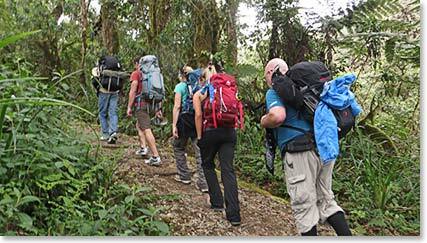 Our destination is Third Cave Camp, on the Rongai Trail. 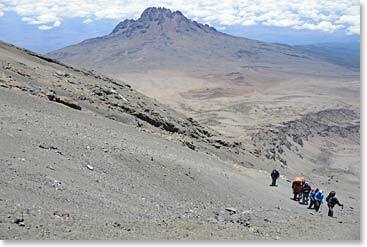 Day 9  Today you will cross through the “Saddle” between Mawenzi and Kibo peaks, our destination will be the old Outward Bound School Hut where we will set up camp. Day 10  We climb during the daylight hours to Berg Adventures Crater Camp, surrounded by walls of glacial ice at 18,700ft/5,700m. Camp will already be established when we arrive. Day 11  Summit Day! Summit will be only 1-11/2 hour from Crater Camp. 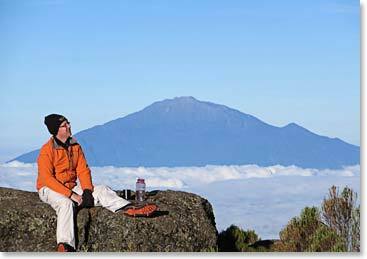 After a beautiful sunrise we will descend to Mweka Camp (10,000ft/3,407m) at the top of the forest. 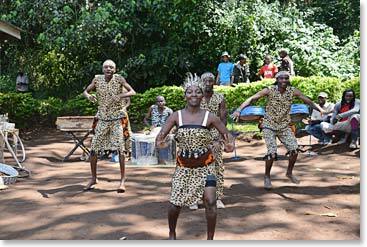 Day 12  We walk through the forest to the park gate, where our Land Cruisers are waiting to take us back to Arusha. After a festive and relaxing celebration with our mountain staff at the gate, we will return to our hotel in Arusha for hot showers and comfortable beds. A party including acrobats and delicious food welcomes us off the mountain. 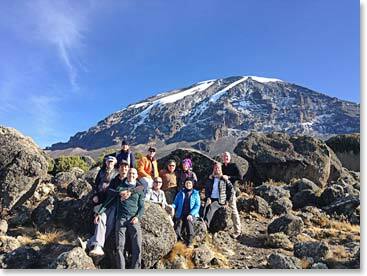 Day 13  Depart Kilimanjaro International Airport. BAI trip ends.